The power of illustration! In today’s digital world, a time-tested technique like illustration can cut through the clutter. 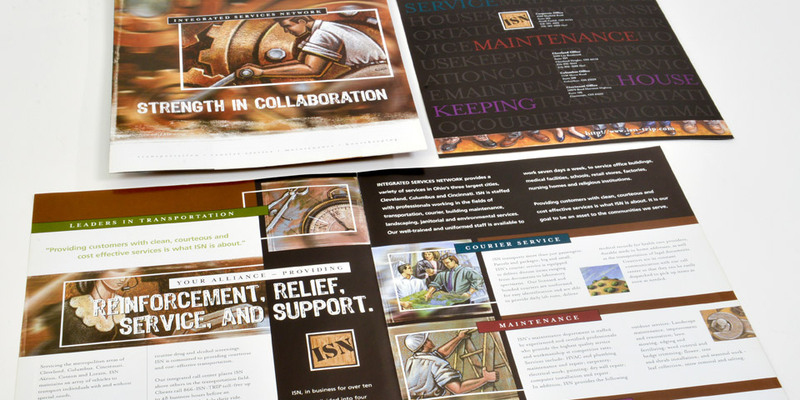 Integrated Services Network wanted a brochure that captured the energy and history of their company. We used gripping illustrations that communicated both passion and heritage. The look we created was unique and interesting. Boom Creative is graphic design firm with a wide range of styles. Edgy, modern, classic, reserved. We create the look and the solution that is right for you. We bring a level of expertise and range of styles not matched by any other graphic design firm.